This photo was too charming not to post. I love the colors, i love the simplicity and most of all, i love elephants. Their symbolic meaning is so special. Plus they're cute as hell. OMG. have we EVER talked about how much i LOVE elephants as well?! I feel like we did but have to ask in case!! they are the CUTEST animals!!!!! i have a plush baby blue elephant from when i was a kid and think it's just as adorable today as i did then ahhaha! i'd love to see one live....and like not at the damn zoo. lol. this is the most intersting yet so adorable photo I've ever seen. 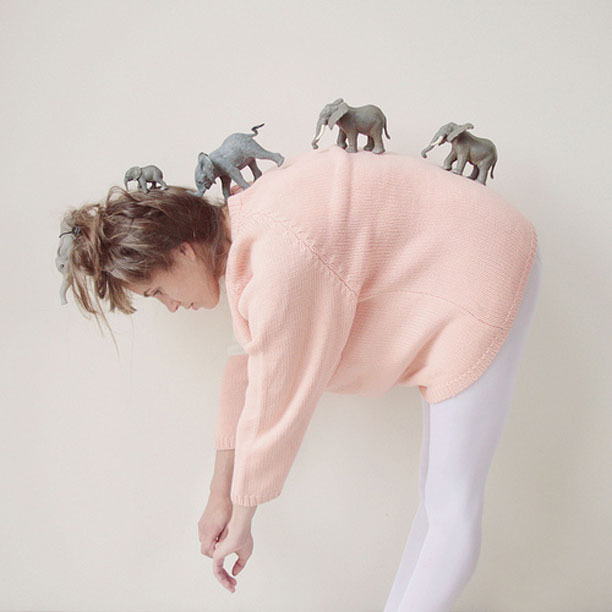 the concept is genius, I mean their elephants!